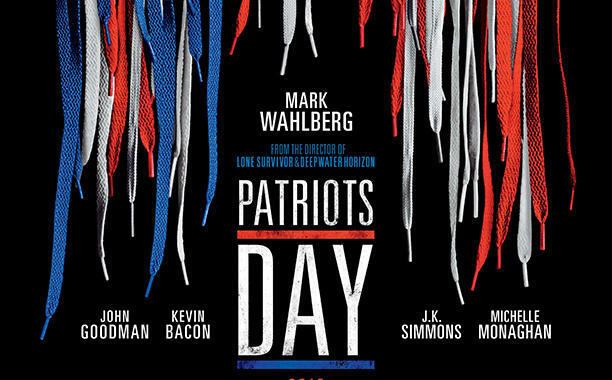 Patriot's Day: What an Incredible Film! I think everyone should see this film based on the Boston Bombing in 2014. I didn’t know if I wanted my kids to see because I didn’t want them to be afraid of the world, but this is a must see! The central message that love wins over hate is one that we all need to hear. I first saw this movie at a private screening and then I took my husband to go see with again with me in theaters. Directed by Peter Berg, who brought us Lone Survivor and Deep Water Horizon, this film stars Mark Wahlberg as the absolutely amazing Sargent Tommy Saunders. Trust me, you may think you know everything about the Boston Marathon bombing, but this movie is riveting, powerful, and authentic. It will keep you at the edge of your seat and show you how the power of human kindness overcomes the hatred and terrorism of this tragic event. The message of movie is love wins over hate. And the way it was shot and the way they tell the story, particularly the last 5 - 10 minutes, leaves every audience speechless. Both times I watched it in a public theater, when the movie finished and the credits were rolling, no one got up, no one moved, it was so still in the theater that you could hear a pin drop, and you could almost hear the beating hearts of the other movie-goers. That's how this movie leaves you, emotionally stunned, compassionate, and understanding that love wins over hate. One or two terrorists will not take a strong country down.